Serving the residents of the San Antonio/Austin region, We proudly announce the Fall 2018 opening of Smile Makeover Specialists. Lead by Dr. Walter D. Thames, DDS, MS, the Smile Makeover team is the region’s newest and most technologically advanced center for cosmetic, reconstructive, and implant dentistry. Backed by years of specialty education and experience, we offer exemplary dental workmanship and back our superior quality, durability and strength with a proven record of patient satisfaction. One of only a handful of dental centers offering an onsite full-service dental laboratory, Smile Makeover Specialists has the ability to show you your high quality, exquisitely detailed restorations before they are made! With our doors opening to the public in fall of 2018, we’re proud to offer the finest in implants, crowns and adult orthodontics. We invite you to discover the benefits of expert-level prosthodontics. Schedule your initial consultation with the Smile Makeover Specialists today. We promise specialized care with a smile. Innovative, exceptional and unfailingly reliable oral health care, delivered by friendly, gentle and compassionate professionals. What more could you want in a local cosmetic dentistry office? Dr. Thames has built a supportive team of experts that can always be relied upon for their unparalleled patient care and restorative techniques. Driven by the belief that optimal oral health is imperative to overall health, Dr. Walter Thames has dedicated himself to providing exceptional dental care for adults of all ages. 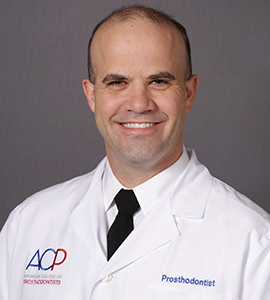 As an expert prosthodontist, Dr. Thames, alongside his team, always strives to deliver superior dentistry and personalized service without compromise. Find out more by scheduling your appointment with our Garden Ridge cosmetic dentistry practice.